Patronages are meant to provide deserved publicity and support to an organization. The Queen of Britain ponders upon it quite calculatedly before any transfer of authority. Looks like Meghan Markle has finally come under her reliable radar! Previously, the Sussex stunner had met the Queen for tea at Buckingham Palace and discussed which patronage she would like to take on. Her Majesty was readily set to give Meghan one of her royal patronages in the upcoming new year. The expected fields of the Duchess's interest were either education, female empowerment, or solely the arts. Time to lower the curtain and make the big reveal! On account of the Duchess' unconditional kindness and compassion, this responsibility was bound to happen sooner or later. Reportedly, she would've preferred to work behind-the-scenes. Probably in order to perfect her first royal patronages before announcing them to the world. But for her associates, the excitement was just too high to handle! Without gaining the royal consent first, someone at the National Theatre made it his own news to publish. 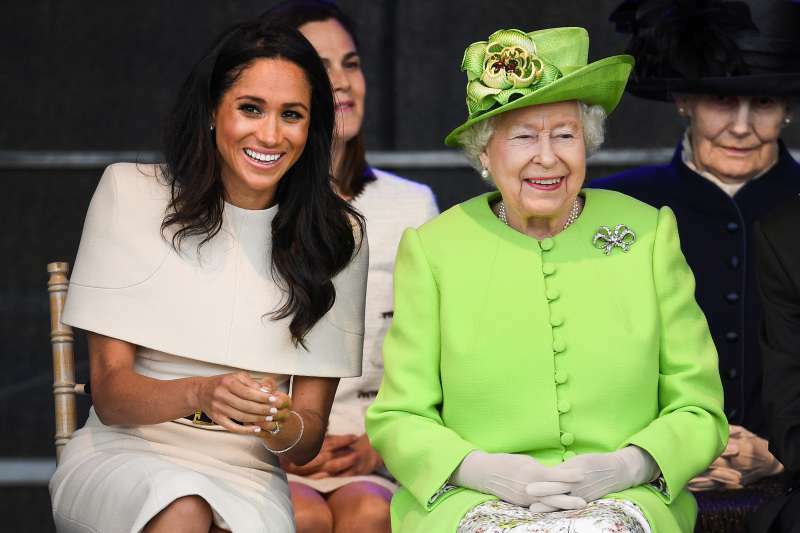 In the spur of thrill, the theatre accidentally published that the Duchess of Sussex would be their official royal advocate on their website. Confirming it with a photo celebrating the brilliant news. So, yes, art it is, the perfect fit for the former actress. The Queen has certainly bestowed her the best possible role! Morally deeming it entirely Meghan's secret to share, some social media users got upset that it was leaked. Others just sprung out strings of compliments saying why she is almost too perfect for the job. This is Awesome! And why not? She has the background knowledge, the hunger to work, and desire to make a change. Go duchess Meghan! woooo....hoooooo!!! Ugh, nothing is ever official with her. She leaks and plays PR games to force hands. This "accident" would NEVER happen with any other royal member and the announcement would come from KP. Now she's forcing the Queen's hand. We heartedly congratulate the Duchess on this new honor and condemn any protocol-breaking news. Share this and let us know your expectation from the Duchess' future ventures!